Field Vision : We want to see vibrant communities of Jesus followers among the least-reached. Department Vision : to lead the Tajikistan field in devotion to God extending leadership through the WACA regional, field and country leaders. Position Goal : to see the Field Leader successful in providing leadership to OM Tajikistan Responsible to: Field Leader and field leadership team Requirements: Personal • Continual personal growth and development. • Have a leadership mentor. • Participate actively in assigned training. • Learn the local language of the context in which you live (at least 5 hours / week). • Exemplary and effective personal ministry – both in a project context (if appropriate) and beyond. Practical ministry engagement • Ongoing study of missiological content like: Team life, Missions motivation, Islam, evangelism to Muslims, CP strategies in Muslim contexts, holistic ministry to Muslims etc. • Share life with three Muslims in an effective discipleship and live-giving way. Spend (at least 10 hours / week with Muslims). • Produce appropriate material to teach the younger generation what you have learnt. (2 hour / week) Administrative tasks: Communication • To support the Field Leader in communication. • Office communication • Ensure regular and sensitive communication of field team prayer need to the team. • Support meeting preparations (agendas, reports) for the Team leaders and field officers with excellence. Logistics • Make Tajikistan guests sense a warm welcome and support. • Ensure that WACA office logistics are done with joy and completed with excellence and on time. Network • To build and maintain a SharePoint archive and field folder system. • To build and maintain the SharePoint Field calendar and messages (WhatsApp) • Support the FLT in networking as necessary, mutually agreed and sensitive to capacity. https://www.omusa.org/go/opportunities/?id=S4397 All jobs/opportunities with OM are unsalaried. Most people joining OM have to raise financial support to cover their living expenses, usually through gifts from home churches and other supporters. As an accountant on the mission field with OM, you will use your financial management skills toward the purpose of seeing vibrant communities of Jesus followers established among the least reached. This important role is vital to ministry on the field. As an accountant in OM, you would provide accountability for the cash transactions conducted on the field and perform duties to assist with accounting functions pertaining to bank accounts, budgets, journal entries, financial reporting and administrative changes, guided by precedent and guidelines of established polices. Participation in local ministry and team life may also be aspects of your role. Requirements: Formal training in accounting or bookkeeping is really helpful. If no formal training in accounting is in the candidate's history, then at least 5 years of progressively increasing responsibility on an accounting team would be preferred. Knowledge of and use of debits and credits, and nuances in a not-for-profit accounting system would be helpful. Proficient in Microsoft Word, Excel and Outlook. Able to use appropriate software for communication. https://www.omusa.org/go/opportunities/?id=S4419 All jobs/opportunities with OM are unsalaried. Most people joining OM have to raise financial support to cover their living expenses, usually through gifts from home churches and other supporters. Go to https://www.gfa.org/joinstaff/ click on the " Apply Now " button to fill out an initial application and to attach your resume and cover letter. 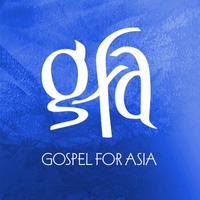 Gospel for Asia is seeking an experienced Print Room Operation Manager with a heart for transforming the lives of the impoverished and hurting through Jesus Christ. This is an opportunity to let God put your talents to use in a Christ-focused ministry with an enormous eternal impact. Essential Functions: Oversees in-house printing, especially variable data printing, both mail-merge and imposition. Coordinates outsourcing of large-scale mailings to various vendors. Maintains accurate inventory across multiple warehouse locations. Works closely with the Communications and Direct Mail staff on the logistics and scheduling of mailings. Maintains printers, supplies, and parts. Coordinates service contracts. Assists other Fulfillment staff in day to day duties such as shipping and receiving, fixing machines, operating forklifts, organizing warehouse etc. Looks for ways to improve the ministries mailing capabilities: researches postal requirements, looks for cost savings, creates efficient workflows. Ability to: Fulfill mailings in a timely manner in keeping with weekly and monthly schedules. Work with a team, this is a highly collaborative role. Communicate clearly. Multitask, running multiple printers at once. Maintain a level of light physical activity throughout the day, about half the time is at a desk, half the time physically active. Lift 40 pounds, bend and kneel consistently, climb ladders. Improvise and problem solve. Take on a variety of different kinds of responsibilities. This role is at the intersection of multiple departments. Knowledge of: Microsoft Office tools: Word, Excel and Outlook. Basic printer operation and maintenance, primarily laser printers. Printing terminology: 2up, Full Bleed, Four Color, etc. Preferred : Adobe tools: Acrobat, InDesign, Photoshop. Preferred : Basic Color Theory. Other Qualifications: Has a personal relationship with Jesus Christ. Do you enjoy working outdoors and seeing the fruit of your labor? Do you have experience with grounds equipment and yard maintenance? Become part of the JAARS team that makes Bible translation and language development possible, especially in the most remote and difficult places on earth. It takes many hands and a team effort to accomplish the task. Your skilled position will free others to use their skills to help further Bible translation, too. Brief Description Maintain grounds of JAARS commercial and residential property A full-time, paid position Responsibilities Use equipment that can include commercial zero turn mowers, string trimmers, and edgers Use and sharpen hand tools, including loppers, shears, shovels, and rakes Edge various areas around campus Prune shrubs and trees Spray with herbicides and insecticides, fertilize lawns Spread salt, shovel snow Shovel out ditches, culverts Make minor repairs on equipment Assist with other department needs Demonstrate a deep and growing walk with the Lord Jesus that includes your personal growth and the ability to support others in their spiritual growth Embrace the vision, mission, and core values of JAARS, and help us live them effectively Education and Experience General knowledge of grounds equipment and yard maintenance High School Diploma or equivalent and minimum of 18 years old Six months to a year of experience To Apply JAARS Employee e-Application OR JAARS Employee Application-Print To apply for this position, please submit application to HR_Director@jaars.org or call (704) 843-6150 with questions. Work overseas. Share your faith. Perhaps you've never thought of it quite like this. You —with your professional skills and your life as a follower of Jesus— could be a missionary . As a believer in Jesus, empowered by God's Holy Spirit, you already have what it takes to shine as a light for Christ wherever you are. But what if you chose to shine someplace with very little light, where Jesus was not known? A light shines brightest in the darkness. Work As Worship Field Systems Engineer - M JOB DESCRIPTION Provide field engineering services, primarily in the mining, metals, and heavy industries, at customer sites and at company locations for routine and moderately complex issues. ESSENTIAL RESPONSIBILITIES AND DUTIES Engineer Provide technical services as it relates to routine and moderately complex maintenance and/or repair of control systems and their components at customer sites or in company locations. Diagnose and troubleshoot issues as they relate to control systems and their components at customer sites or in company shops. Communicate with plant engineers at customer sites on technical questions and specifications. Provide after-hours support in person and/or over the phone. Provide technical information and data to Administrative Assistant for the creation of quotations and work scopes. Information includes job repair requirements, parts for order and use, and associated cost. Complete necessary service, time tracking, and expense documentation. Maintain tools and test equipment properly. Communicate with company’s account managers regarding the status of work as it applies to their customers. Communicate with company’s sales personnel regarding customer questions. Identify and assist with repair and manufacturing training needs. Ensure that all completed work meets company’s Standards and complies with company’s ISO Quality System. Communicate clearly, concisely, and with accuracy to employees, customers, and vendors. Appreciate and demonstrate company’s Core Values and Principles, and Corporate Mission. Other Observe all safety procedures and use proper safety equipment as needed. Maintain a clean, neat, and safe work environment at all times. Operate and maintain equipment in a safe manner at all times. Promote strong company image and maintain positive working relationships at all times including professional behavior with customers, vendors, and co-workers on a daily basis. Provide outstanding customer service at all times. Perform work according to established company policies and procedures. Perform other duties as requested. QUALIFICATIONS + EXPERIENCE REQUIREMENTS Education: Bachelor's degree in Electrical Engineering or an equivalent combination of education and/or work experience. Experience: Four years engineering experience in field service and/or similar industrial environment Mining, metals, and/or heavy industry experience preferred Other: Knowledge of AC and DC motors. Knowledge of programmable logic controllers (PLC) and/or variable frequency drive (VFD) systems for machine troubleshooting. Ability to take after-hours calls. Ability to work independently with little direct management. Knowledge of AC and DC motors. Knowledge of programmable logic controllers (PLC) and/or variable frequency drive (VFD) systems for machine troubleshooting.